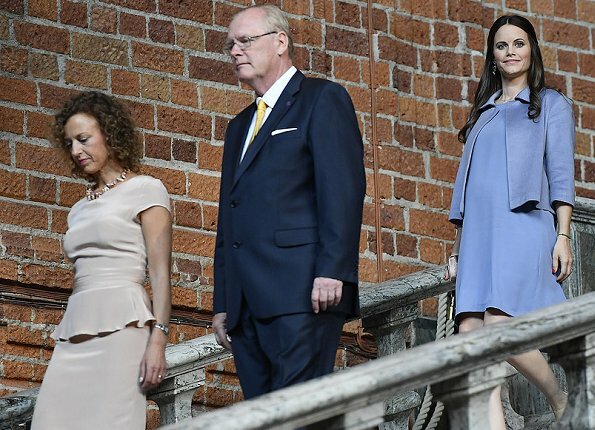 On June 9, 2017, Princess Sofia attended the Sophiahemmet's 2017 graduation ceremony and presentation of brooches at Stockholm City Hall. (Sophiahemmet University originates from the nursing study program that was started in 1884 by the Queen Sophia. Princess Sofia was appointed as the honorary chair of Sophiahemmet). I love the retro nurses uniforms! Actually not a bad outfit. One of her best. About hundred are graduating at time in nurse program. What you mean it is not Sofia´s job to congratulate them? 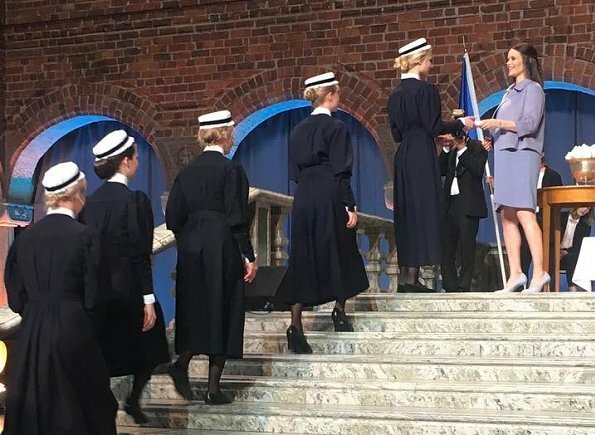 Princess Sofia is the Honorary Chairperson of Sophiahemmet and participates in the University`s graduation ceremonies. Of course it is her duty to congratulate them. Actually Swedish royal family has always been near to Sophiahemmet, since Queen Sophia established the school 133 years ago. In Sweden there is quite a lack of nurses and the Sophiahemmet nurses are very highly valued ones, so they have very bright work future ahead. I dont know what she meant but thats not what she said. "It's not Sofia's first event to congratulate them!" Very pretty color on Sofia. I like the different textures of violet in the jacket and dress, which give subtle variation to the single block of color. Second picture of prinsessan Sofia looks very cute. Her outfit has very lovely color and I liked her hairstyle. Did you notice that Sofia had a teeth correction? No. They look like they always did but whiter. I am underwelmed by her outfit. She looks completely washed out. The jacket seems an afterthought and whilst she is a pretty woman, there is no class to her look. Not the first time I am left with this impression. They look lovely but remind me of the house maids on Downton Abbey. I am a nurse and our student caps looked like this. Nurses rarely wear caps anymore. Congratulations to all the new nurses.